A calibrator is a great way to achieve both consistent and accurate results by ensuring your monitor is the correct brightness and displaying accurate colors. Today only, you can take half off the Datacolor Spyder5PRO Display Calibration System. The Spyder5PRO is an excellent option for photographers and videographers alike. 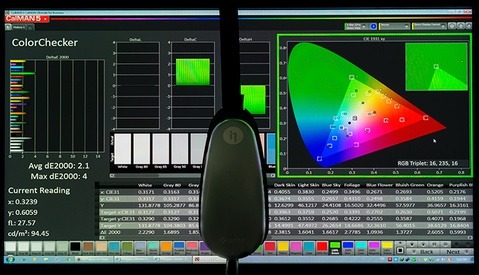 Monitor calibrators help in several ways: first, they ensure your display is the correct brightness given the ambient light, which can help keep you from inadvertently creating edits that are too light or dark. Second, they ensure that the colors the monitor says it's displaying are what are actually appearing, helping your prints and edits come together as planned. Most professional photographers and videographers own such a device. 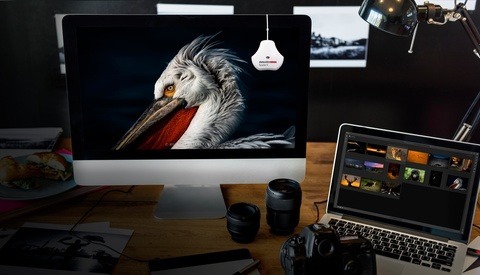 The PRO model comes with more feature-rich software that still guides the user through the process, but also allows manual setting of gamma, white point, and gray balance, as well as 16 distinct choices for calibration settings. It also contains an ambient light meter that helps the monitor compensate for changing conditions. Lastly, it comes with a case, which is useful if you work on a laptop and travel a lot to different environments. Today only, B&H has dropped the price to $94.95, half off the usual $189.95. 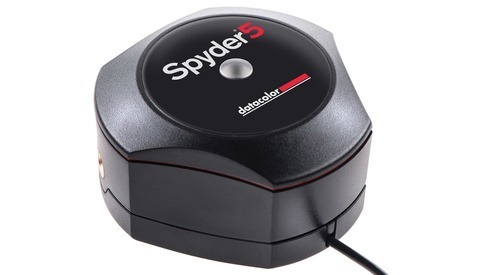 You can get yours here: Datacolor Spyder5PRO Display Calibration System. Can you verify that your organization does not get paid by either the manufacturer of this product or B&H Photo to endorse this offer on your site? What difference does it make? Apparently this price is only valid through this link. If you go to the website it is listed as $189. The difference is the relationship of the website to its readers as to their motives. Magazines declare at the back of their publication their advitisers and what are paid advertisements that appear as if they are articles. Don’t understand the big deal for websites. This is a big problem in photography on you tube reviews and website reviews. I saw this on B&H earlier and sent it to a few photographer friends who have been hesitant to invest in a calibration system at full price. This is a really nice deal. I can't speak for this vs. the x-rite (which plenty of people seem to like), but I've gotten good mileage out of my Spyder5Pro, and would say that I couldn't live without a calibration tool at this point. That said, the DataColor software is sort of jank, but it gets the job done. Awesome! This was just what I was going to buy today. Thank-you universe (and fstoppers)! I have this and admit I never use it. Bring the hate, but for prints it's always an approximation (you have to make a test print) and for online viewing - how many viewers monitors are calibrated? I bought into the hype and, well, it died. RIP. well calibrated monitor and its one test print maybe none, uncalibrated well just start beating your head against the wall. As for Kent, do you have an aversion to good deals? I hate Fstoppers click bait articles but this is a freaking gift why the complaint?? Missed this deal AGAIN! SMH!